The room is packed to the rafters; an overheard conversation reveals the women at a nearby table have traveled three hours to be in this room. There are hoots and cheers, and lots of buzz. 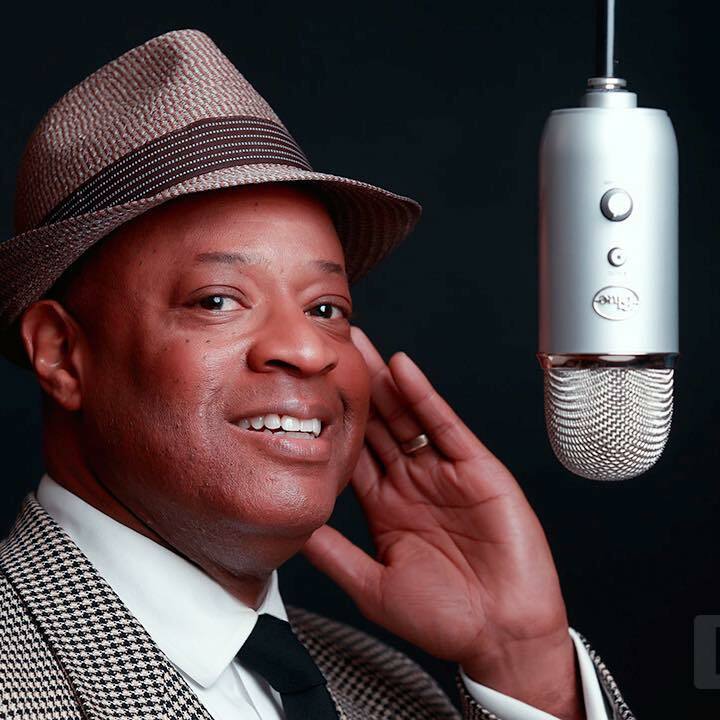 This hoopla becomes completely understandable when Shipley takes the stage and launches into the Cole-penned 1943 hit, “Straighten Up And Fly Right.” This five-time MAC award winner for Outstanding Jazz Vocalist has a honey baritone and charisma. When he sings on with two 1946 notables, “I Love You For Sentimental Reasons” (Derek Watson/William Best) and “Route 66” (Bobby Troup) the Broadway actor and voice-over artist reveals himself as a superlative entertainer. An elegant rendition of “Pretend” (Lew Douglas/Cliff Parman/Frank Lavere) solidifies that Shipley can really deliver the goods. 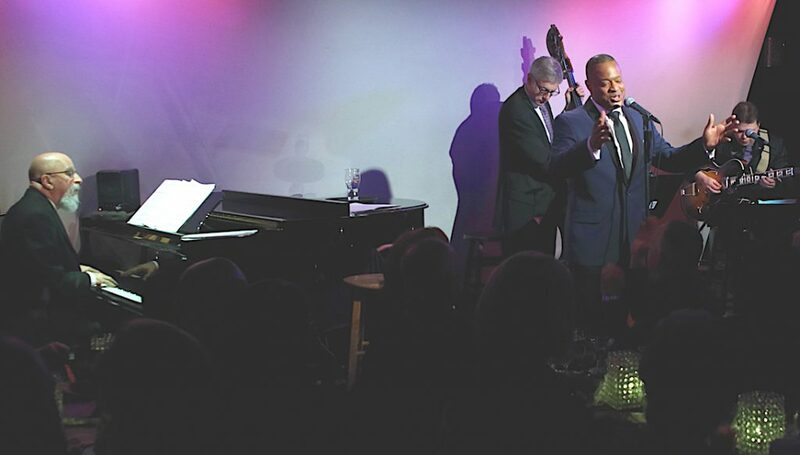 Unforgettable – A Tribute to the Jazz Great Nat King Cole is short on narrative and long on song. Jazz artists tend to lean that way, which is as it should be. Shipley pays homage to Cole, but never copies him. His timbre is smoother than Cole’s (who was pretty smooth himself), yet there are times when, in hitting a bottom note, he startlingly almost exactly matches Cole’s note for note. The invocation is welcome. Cole died at age 45, much too young. It’s good to be reminded of his accomplishments and his repertoire, including the big hits, such as “Mona Lisa” (Jay Livingston/Ray Evans), “Ramblin’ Rose” (Noel Sherman/Jose Sherman) and, of course, “Unforgettable” (Irving Gordon). As Shipley points out, Cole began in jazz. By age 16 he was already a masterful jazz pianist with his own trio. Singing came later, around 1940, with “Sweet Lorraine” (Mitchell Parish/Clifford Burwell). Shipley swung this tune, as well as a few others from Cole’s early years, including “Orange Colored Sky” (Milton Delugg/Willie Stein) and the haunting “Nature Boy” (Eden Ahbez). Like Cole, Shipley’s delivery is straight forward. There are no gimmicks or vocal gymnastics – just pure intonation, excellent phrasing, and sensitive interpretation. In the pop years Cole occasionally returned to his jazz roots. He recorded a jazz album with his trio in 1957, After Midnight), on which “Caravan” (Juan Tizol and Duke Ellington/Irving Mills) appeared. Shipley aced the swing on this number, along with “Walkin’ My Baby Back Home” (Roy Turk/Fred E. Ahlert) and an upbeat audience sing-along to “L-O-V-E” (Bert Kaempfert and Milton Gabler). For an encore, Shipley performed a jazzy “Paper Moon” (Harold Arlen/E.Y. Harburg and Billy Rose) which featured a solo by guitarist Tom Guarna (whom it would have been nice to hear more of in the set). Music Director and pianist Mark Soskin and upright bass player David Finck completed the trio ably backing Shipley.